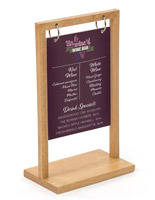 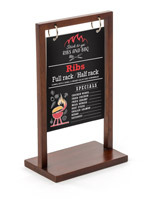 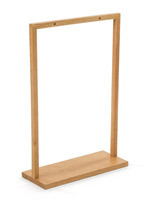 Use this menu holder wooden tabletop stand as a flip sign at your bar or restaurant. 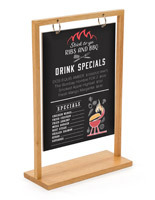 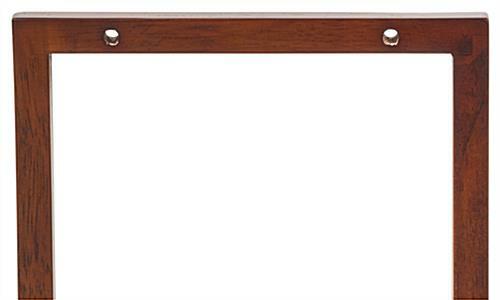 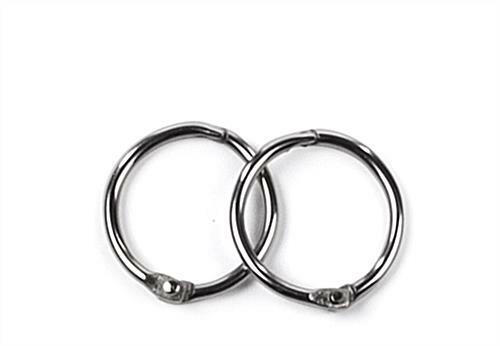 The sign holder features two hooks to hang your 5” x 7” signage (sold separately). 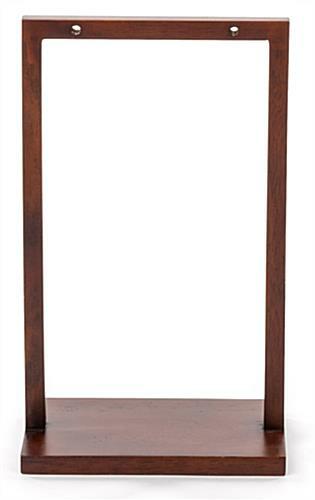 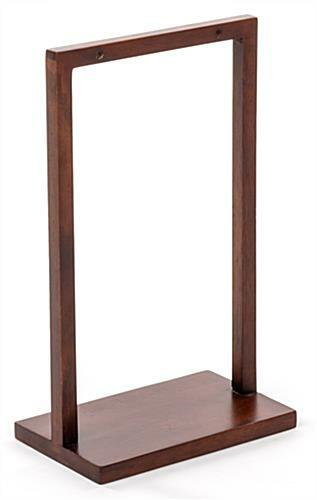 A deep brown finish allows the wooden tabletop stand to complement the décor in any bar, restaurant or retail setting. 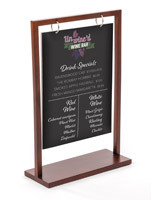 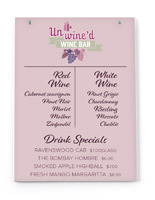 Pair this sign holder with a 5” x 7” sign to display drink specials or brand messages. 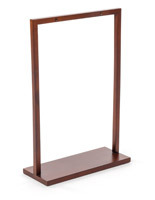 A classic deep brown finish makes this an elegant display. 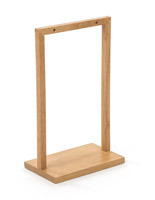 Choose this tabletop stand for your flip stand!